In June 2015, a trial excavation was conducted at Yafi‘a (Permit No. A-7441; map ref. 226509/732145; Fig. 1), prior to construction. 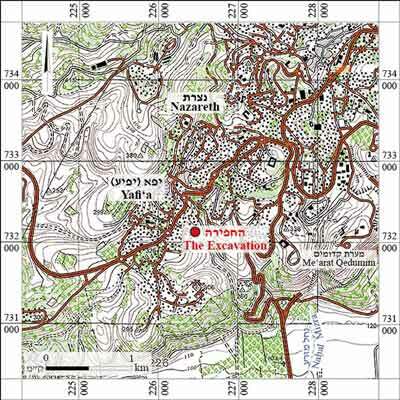 The excavation, undertaken on behalf of the Israel Antiquities Authority and financed by A. Udah, was directed by M. Shemer, with the assistance of Y. Ya‘aqobi and B. Zidan (administration), K. Covello-Paran (scientific guidance), M. Kahan (surveying and drafting), I. Delerson(plans), D. Avshalom-Gorni, Y. Alexandre and N. Feig (ceramics) and laborers from Yafi‘a and Qiryat Tivon. Yafi‘a village (Yaf‘a) is situated on a limestone hill in Lower Galilee, c. 3 km southwest of Nazareth and c. 7 km south of Zippori. The village is identified with ancient settlements that are mentioned in biblical and historical sources: Yafi‘a is one of the settlements on the tribal border of Zebulun (Joshua 19:12); a settlement by the name of Iapu is mentioned in the el-Amarna letters (the fourteenth century BCE) as a vassal of Megiddo; Josephus describes the fortifying of the city of Iapha prior to the revolt against Rome in 66 CE, its defeat and the massacre of its inhabitants a year later (Josephus Jewish War 2.573; 3.289; Life 45.230; 52.270). In previous excavations, the ancient village nucleus was exposed on a hill known as Mar Ya‘aqub in the northwestern part of the village, c. 600 m northwest of the current excavation. A synagogue that dates from the Late Roman or Byzantine period was unearthed on the eastern side of the hill (Sukenik 1951). Several burial caves from the Roman period (Abu-‘Uqsa 2000; Muqari 1999; Shalem 1999), a stepped ritual bath (miqveh; Alexandre 2000) and architectural remains from the Byzantine and Mamluk periods (Abu-‘Uqsa 2002) were exposed inside the village. 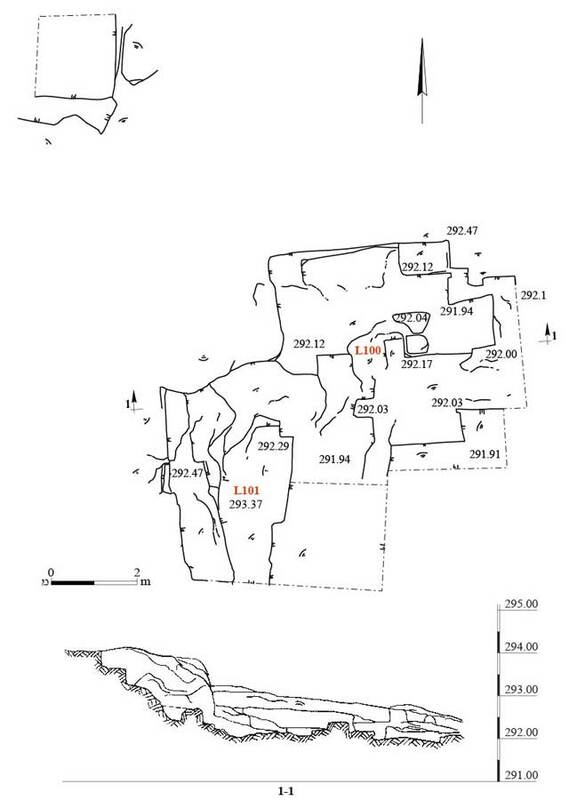 Settlement remains and other evidence of human activity from the Iron Age II, Late Hellenistic and Early Roman periods were documented in the area (Alexandre 2012). A stone quarry (c. 25 sq m; Figs. 2, 3) was unearthed. Based on the ceramic finds, it was used during the Roman period. A rock-hewn pit was discerned in the northwestern part of the excavation area. 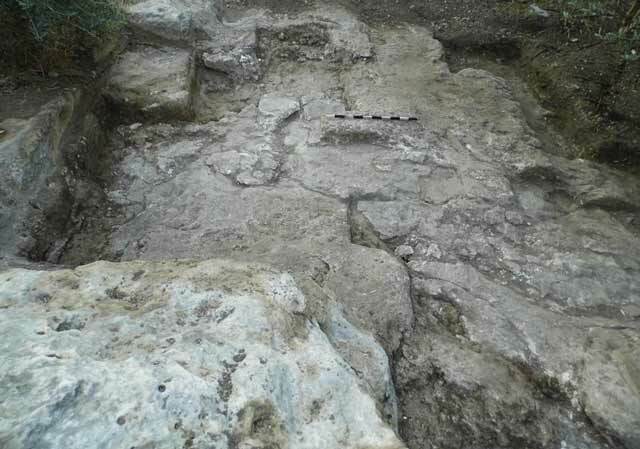 Rock-cuttings identified outside the excavation area indicate that the quarry extended further to the south and west. 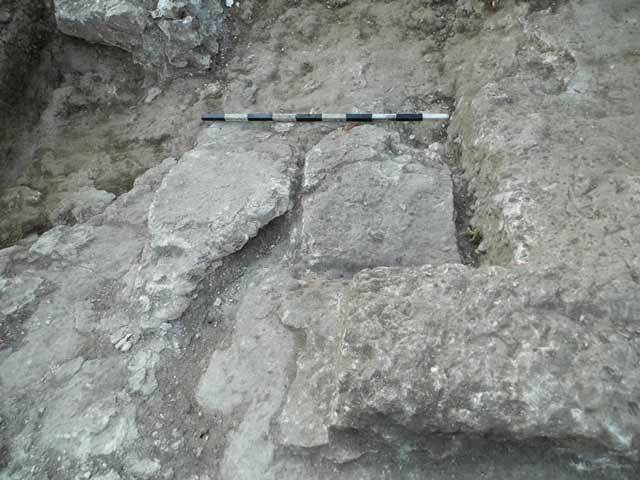 Rectangular severance channels (width 0.05–0.10 m) and two stones that were dressed but not detached (Fig. 4) indicate the size of the stones that were produced in the quarry (0.5 × 0.8 m; height 0.1–0.3 m). The ceramic finds were quite meager (Fig. 5). 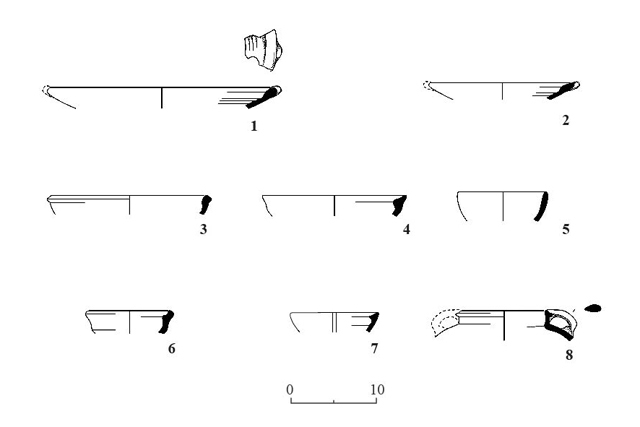 The dating of the activity in the quarry is based on a number of sherds, including Kefar Hananya Type 1E bowls (Adan-Bayewitz 1993:104–110; Fig. 5: 1, 2) and Type 1A bowls (Adan-Bayewitz 1993:89–92; Fig. 5:3) and Kefar Hananya Type 4C cooking pots (Adan-Bayewitz 1993:129–131; Fig. 5:8). On the basis of these vessels, the last phase of activity in the quarry is dated from the late first century CE to the mid-fourth century CE. Stone quarries were part of the industrial hinterland that provided stones for the construction industry in the neighboring settlements. The unearthed quarry, which began operating in the late first century CE, is evidence that a settlement existed nearby after the defeat of the village in the first century CE. Thus, it must be concluded that the settlement was not completely abandoned after the first revolt was suppressed, although its size was reduced. Abu-‘Uqsa H. 2000. Yafi‘a. ESI 108:24*–25*. Abu-‘Uqsa H. 2002. Yafi‘a. HA-ESI 114:110*. Adan-Bayewitz D. 1993. Common Pottery in Roman Galilee: A Study of Local Trade. Ramat Gan. Alexandre Y. 2000. Yafi‘a. ESI 108:131*. Alexandre Y. 2012. Yafi‘a. HA-ESI 124. Muqari A. 1999. Yafi‘a (A). HA-ESI 110:25*. Shalem D. 1999. Yafi‘a (B). HA-ESI 110:26*. Sukenik E.L. 1951. The Ancient Synagogue at Yafa near Nazareth: Preliminary Report. Bulletin of the L.M. Rabinowitz Fund 2:6–24. 2. The quarry, looking east. 4. Dressed building blocks still attached to the bedrock, looking east.